The monetary unite in Argentina is the peso. The very first animated movie was created by Quirino Cristiani in 1917 in Argentina. Many people believe that Walt Disney made the first animated movie but that is not true. The city of Ushuaia in Argentina is the most southern city in the world. Major industry in Argentina includes food processing, vehicle manufacturing, textiles, steel, printing, and chemical manufacturing. Argentina's natural resources include lead, zinc, tin, copper, iron ore, uranium, petroleum and manganese. Major agriculture in Argentina includes sunflower seeds, lemons, soybeans, wheat, tea, peanuts, tobacco, corn and grapes. Some of the most beautiful waterfalls in the world are found in Argentina. One of these is the Iguazu Falls which include 275 cascades, and is considered by many to be the most beautiful falls in the world. There are approximately 13.5 million people in Argentina using the internet. Approximately one out of every thirty people in Argentina has plastic surgery to enhance their appearance. Many tourists also choose Argentina for plastic surgery procedures as well because it is cheaper there. The first time in history that fingerprints were used to convict a person of a crime was in 1892 in Buenos Aires, Argentina. The remains of many gigantic dinosaurs have been found in the last 10 years. The Giganotosaurus, believed to have lived 90 to 112 years ago, was found in Argentina. It looked similar to the T. rex but it was much larger. It also had three fingers instead of two. On July 20th each year Buenos Aires celebrates Friend's Day. Argentina claims to have invented the dance the tango. 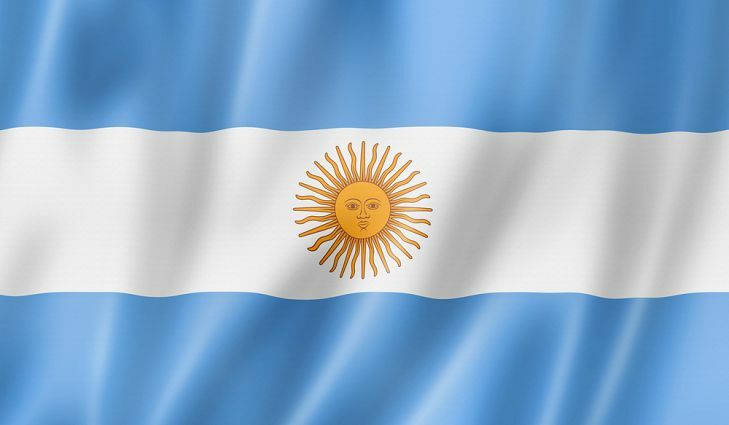 Argentina declared its independence from Spain on July 9th, 1816 and adopted its current constitution on May 1st, 1853. Argentina has claims to part of Antarctica, the South Sandwich Islands, South Georgia, and the Falkland Islands. Argentina is the largest Spanish-speaking country in the world. Approximately 92% of Argentina's residents live in cities. Major cities in Argentina include Buenos Aires, Cordoba, Rosario, Mendoza, San Miguel de Tucuman. Argentina's capital city is Buenos Aires, with a population of almost 13 million people. The population of Argentina in 2012 was more than 42 million people. Argentina covers an area of 1,068,296 square miles. One of the five best opera and classical concert venues of the world is located in Argentina. It is called Teatro Colon.